An interesting study forthcoming in the September issue of C&RL tackles the question of how our scholarship is evaluated by tenure and promotion committees. As a tenured librarian in a department in which half of the faculty are currently working toward tenure, this question intrigues me. Fortunately, my non-librarian colleagues at my institution do not take a bean-counter approach to assessing scholarship. I’ve served on the committee and have seen first-hand that there’s no talk of “impact factor” and having published a book is not a mechanical substitute for evaluating the significance of a faculty member’s intellectual work and potential for future engagement with ideas. The authors describe the way Oregon State University has adopted Boyer’s definition of scholarship – which embraces not just discovery of new knowledge, but application, teaching, and integration. After examining what librarians have been doing, they concluded the problem isn’t being productive, it’s explaining the “breadth and impact” of librarians’ scholarly work. This includes not only traditionally-published research, but additional modes of communicating ideas. 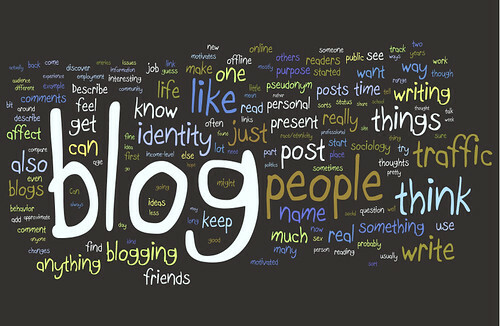 Blogs are vehicles to teach and communicate to both broad and specific audiences. Their format precludes them being taken seriously as scholarship in current tenure review processes, but their content often demonstrates engagement and suggests impact in ways rarely seen in the print library journal. This raises questions about the concept of format and vehicle. Expanding acceptance of new forms of communication along with reconsidering what constitutes scholarship will benefit librarianship as a whole. A first step is accepting open-access, peer reviewed journals as outlets of high impact and validity. The next step will be integrating non-traditional peer reviewed work such as blogs that have an active readership and generate comments and commentary. Maybe in a backhanded way the work we do, documented in a way that people in other disciplines can understand, could provide a model for sanity. CC-licensed image courtesy of Kristina B.